Last week a friend and I hike the Foothills Trail from Sassafras Mt. to the Rt. 281 crossing, approximately 38-39 miles. We commented several times on how well blazed and maintained we found the trails to be.e trail to be. We encountered three Duke Power contractors at the end of their maintenance area and they were quick to ask what issues, blow downs, missing blazes, etc. we had observed that they needed to address. We could only offer one location that a double blaze had faded and we almost missed an unusual turn. They asked several questions to ensure they knew where to go to “correct” the issue. We completed the hike in five days of hiking so we spent many hours on the trail most days. Had the trail conditions not been as superior as we found them I am sure our progress would have been impeded. 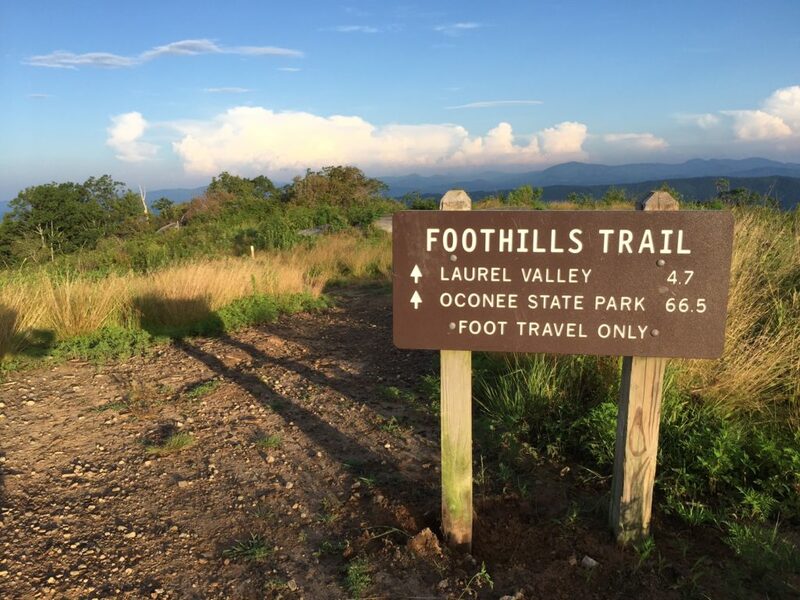 I have backpacked close to 600 miles in the eastern US – mostly in 20-25 mile long weekend chunks – and I cannot recall better overall trail conditions and clearly marked paths. Many thanks to those of you who help ensure this to be the case.